ANGUS VIOLIN STUDIO - Violin making, restoration and repair. for tightening or loosening the barrels on any size violin or viola chinrest. My new invention, just launched on the market. For those awkward sound-post moments. The swiftsetter (tm) is the perfect companion to the original tool or use instead of, if you wish. As it says, Easy to Use! Universal Iron for Violin, viola, cello, gamba and guitar. 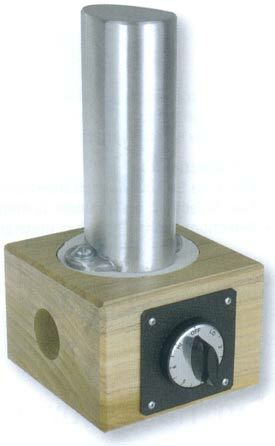 use horizontal or vertical, 200W and weighs 1.8kg work height 160mm. 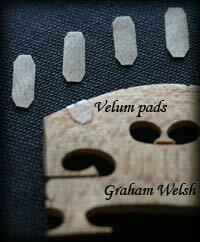 Precut velum bridge pads (4). Just fold over bridge, then stick on with super glue. Protect your bridge from the E string cutting in. 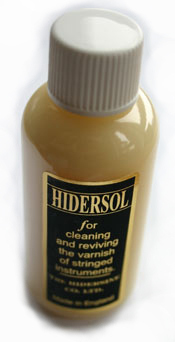 for cleaning and reviving the varnish on stringed instruments. Design by Lance Taylor © 1999-2013 Graham Welsh. All rights reserved.